Germany’s largest financial institution Deutsche Bank had its Frankfurt headquarters raided by the local authorities under the suspicion of money laundering. While crypto continues to be targeted by the press for the alleged usage of decentralized systems by criminals, a growing number of banks are being investigated for processing payments for criminal organizations. 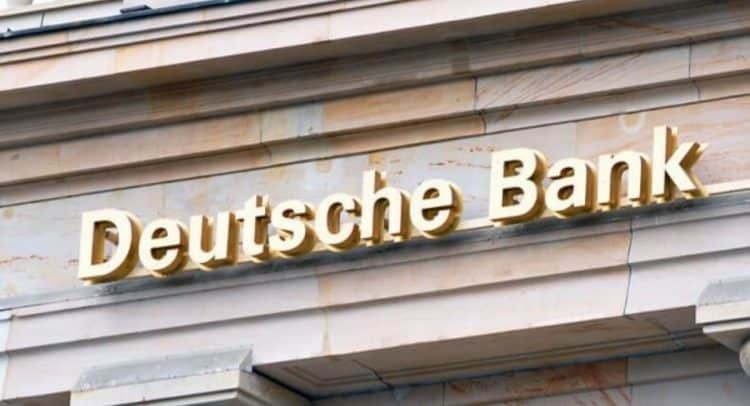 On November 29, BBC reported that a high profile investigation led by the German authorities was said to have obtained the servers and files possessed by Deutsche Bank to further evaluate whether the bank processed more than $350 million for clients in the British Virgin Islands involved in criminal operations. In September, the Wall Street Journal reported that $9 million in criminal proceeds were laundered through ShapeShift, a popular cryptocurrency trading platform based in Switzerland. WSJ said at the time that it was able to track illicit funds by through information obtained on the public blockchains of Ethereum and Bitcoin. “$9m (even if it was true) is 0.15% of ShapeShift’s exchange volume during the described time period. We have a strong record of complying with law-enforcement requests, providing valuable assistance in over 30 investigations in 13 different countries all over the world. We work with other exchanges on an almost-daily basis to identify and block thieves and criminals, through a self-policing group ShapeShift created to protect the users and industry. We block entire countries on the sanctions lists. We have an internal anti-money laundering program that uses blockchain forensics. For criminals, it can be significantly more risky and impractical to utilize cryptocurrencies to move funds because unlike fiat transactions, through the utilization of public blockchain network explorers and companies like Chainalytics, transactions processed through certain wallets can be traced to exchanges. In South Korea, for instance, an initial coin offering (ICO) exit scam called PureBit tried to cash out millions of dollars it obtained by vanishing with the capital investors provided the project. Almost immediately after the funds from the account of PureBit were moved to Upbit, the country’s largest cryptocurrency exchange, Upbit shut down the accounts of the scam operators and froze the funds. As seen in the recent money laundering case with Deutsche Bank and the mega-scandal involving some $227 billion with Danske Bank in Belgium, the preferred method of criminals and crime syndicates to process money, especially to overseas offshore banking accounts, remains as legacy banking systems that, despite strict regulations in place, have shown a poor track record in clamping down on money laundering. Addresses of major cryptocurrencies can be tagged by blockchain analytics firms and already, many of the world’s largest cryptocurrency exchanges including Binance have partnered with firms like Chainalytics and Elliptic to crackdown on money laundering. In comparison with the $9 million alleged to have been involved in the ShapeShift case, Deutsche Bank’s $350 million, Danske Bank’s $227 billion, and dozens of money laundering scandals that erupted throughout the past several years demonstrate a clear difference in the scale and intensity in the way in which the global banking system has been abused by criminals to launder money.